William Trbovich is owner of Acurit Auto Repair. 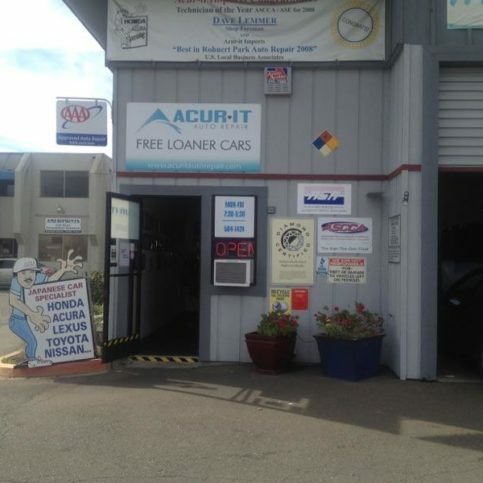 Acurit Auto Repair services and repairs all types of automobiles, vans, and pick-ups at its Rohnert Park facility. 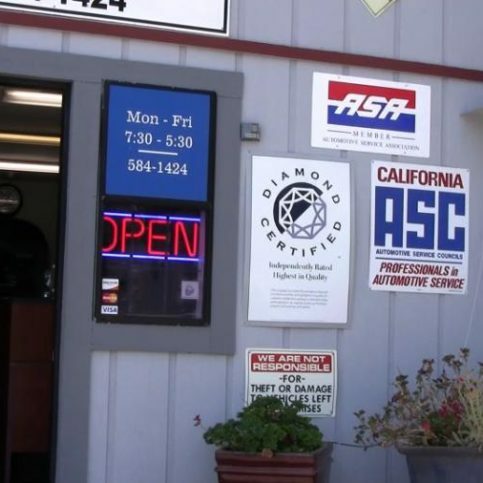 Established in 1980, the AAA-approved company specializes in Japanese, domestic and hybrid vehicles, and it handles everything from engine overhauls and timing belt replacements to basic services and tune-ups. 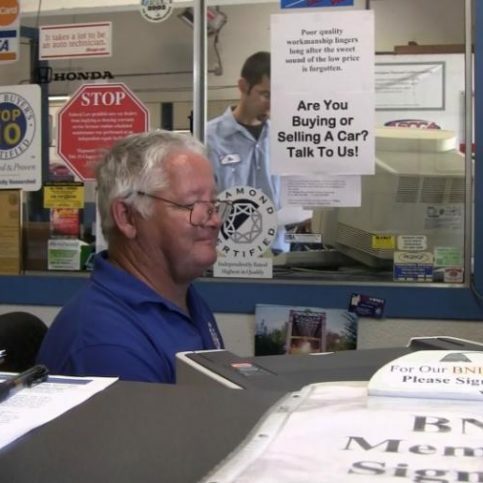 Owner William Trbovich is a 53-year veteran of the auto repair business and is factory-trained by companies such as Honda, Acura, Nissan, and Mitsubishi. His 20 years of Honda factory experience and training have earned him several customer satisfaction and training awards from American Honda. Acurit Auto Repair’s mechanics are ASE Certified and factory-trained to offer services that are specific to customers’ vehicles. 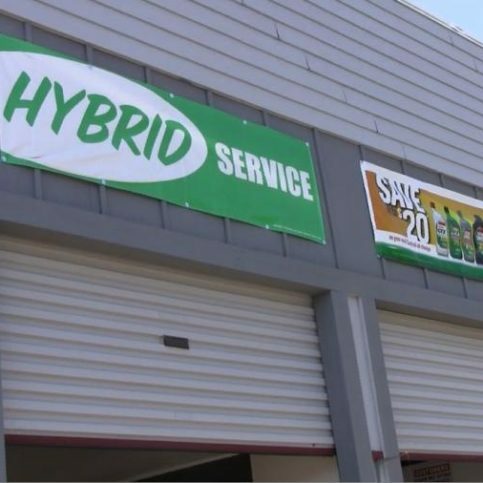 They practice preventative maintenance to save customers money and trouble, says Mr. Trbovich, and they work to enhance the value of every vehicle that comes through the company’s doors. 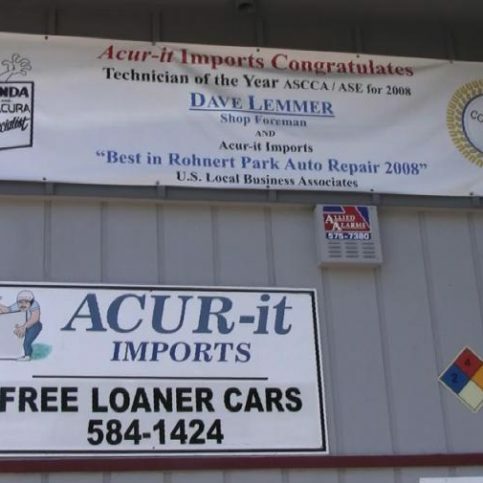 Acurit Auto Repair has received the “Best in Rohnert Park Auto Repair” award from the U.S. Local Business Associates 20 years in a row. An Acurit Auto Repair technician works on a customer’s vehicle. Every three months (more often if specified by your vehicle owner’s manual) and prior to a road trip, check your car’s fluids, including transmission fluid, brake fluid, power steering fluid, radiator coolant and windshield washer fluid. Keeping these fluids at their full-level marks helps lubricate your car’s moving parts, which reduces reduce fiction, heat and general wear. Also, make sure to inflate your tires to the proper levels. Underinflated tires wear down more quickly and can also lower your car’s gas mileage. Each car has a different maintenance schedule, so it’s vital that your mechanic has access to the latest service bulletins and databases from manufacturers. “For instance, if you don’t replace the coolant at the specified interval, it can degrade and become acidic, which will damage the cooling system and engine,” shares Mr. Trbovich. Prior to winter, have an auto shop check your car’s antifreeze with a hydrometer (a device that takes a sample of antifreeze and specifies how cold the temperature can become before it freezes). The antifreeze should be able to withstand temperatures of at least 30 degrees below the coldest winter temperature. To avoid frozen antifreeze, purchase only the type specified in the vehicle owner’s manual—improper antifreeze can crack an engine’s block, which could result in thousands of dollars of repair work. A: We can’t provide a written estimate until we inspect your car. We can tell you what a certain service normally costs, but each car is different. For example, a manufacturer might recommend replacing the air filter at 60,000 miles, but if we look at it and see it was replaced about 1,000 miles ago, we’re not going to do it again, which will save you some money. A: The vast majority of our repairs can be done in one day, with the exception of cars that are brought in late in the day. A: Yes, unless there’s a diagnosis that requires disassembling the car. About 85 percent of our estimates are free. A: Yes, we use OEM parts on more than 95 percent of our repairs. In some cases, we know certain aftermarket parts are just as good as OEM parts, so we’ll opt for the less expensive choices with the car owner’s permission. A: Yes, we provide 10 percent discounts on labor for military personnel, students and senior citizens. Q: Do you provide loaner cars? A: Yes, but you have to make an appointment—we have three loaner cars, and they go pretty quickly. Acurit Auto Repair works on trucks that weigh 1.5 tons or less. Master Technician Jason Moyer has more than 15 years of auto repair experience. 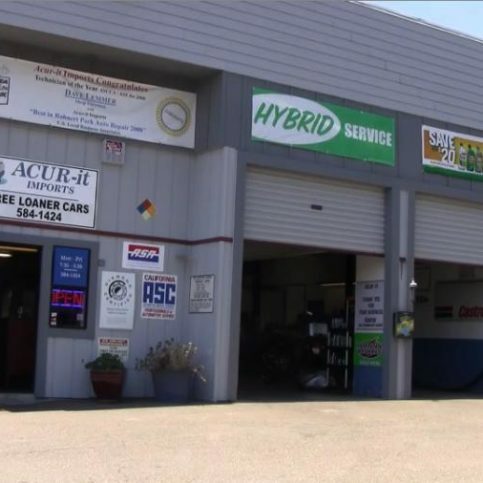 As a Sonoma County Green Business, Acurit Auto Repair offers free recycling of old engine oil, oil filters and coolant. Shop Foreman David Lemmer is a former ASCCA/ASE Technician of the Year, and he teaches automotive classes at the local college. Rane Seth has been working on cars for more than five years. 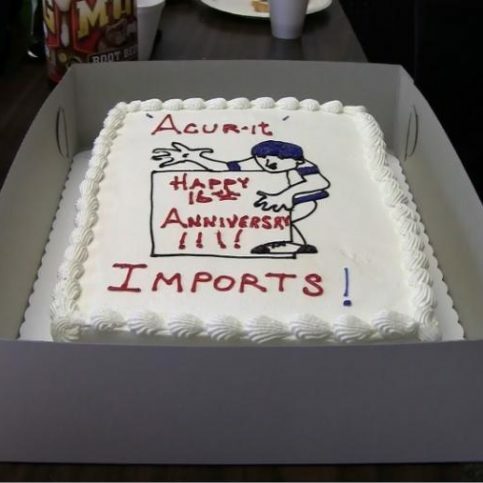 In 2012, Acurit Auto Repair celebrated its 16th year at its Rohnert Park location. 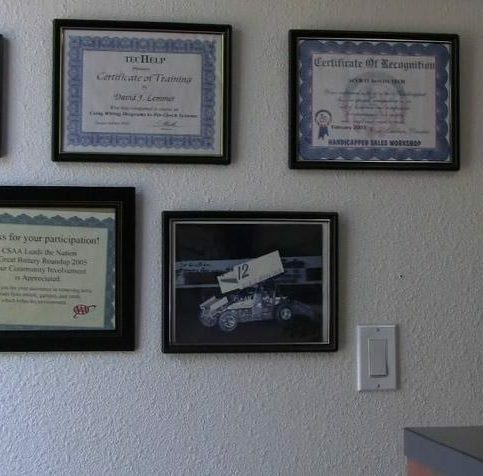 Dave Lemmer has more than 30 years of experience in the auto repair industry. Service Manager Mitch Haik has been working on cars for more than 30 years. 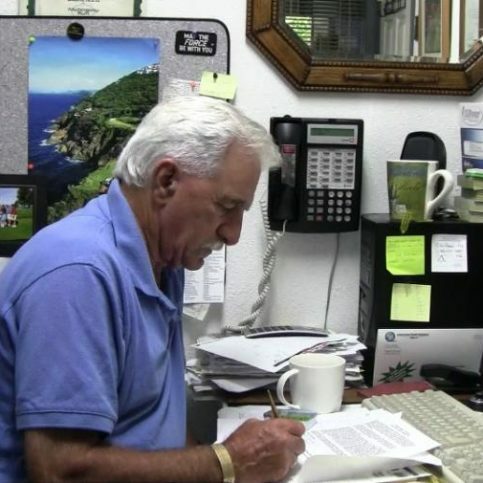 Owner William Trbovich has more than 50 years of auto repair experience. Acurit Auto Repair checks fluids, lights, and tire pressure during every service appointment to ensure safety and visibility. 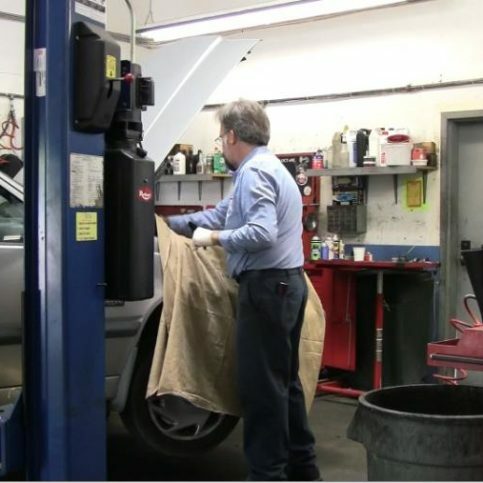 Acurit Auto Repair listens to its customers’ concerns. Acurit Auto Repair’s technicians make sure every hose and wire harness is in its proper place each time they inspect a car. 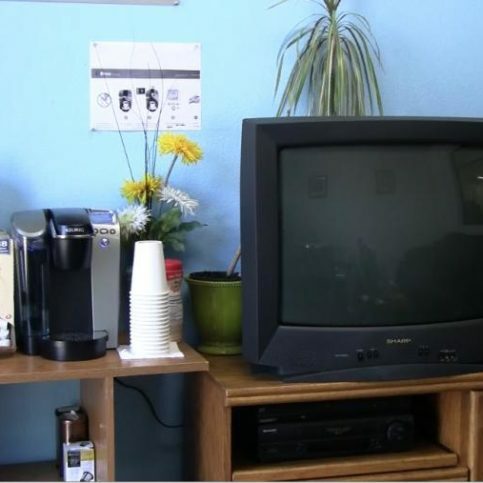 Acurit Auto Repair’s shop features state-of-the-art equipment. Acurit Auto Repair is trained to service and repair all types of hybrid and electric vehicles. 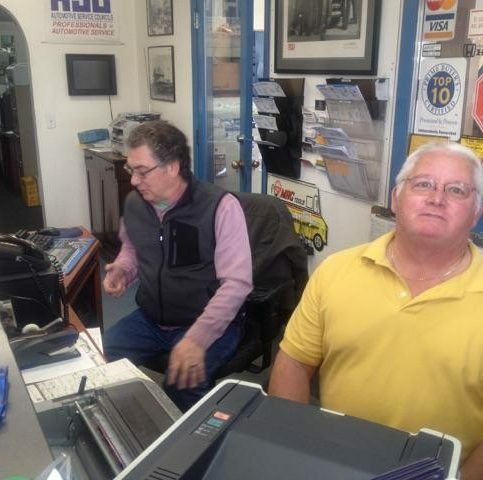 Stuart (L) and Mitch are journeymen auto technicians and helpful service advisors. 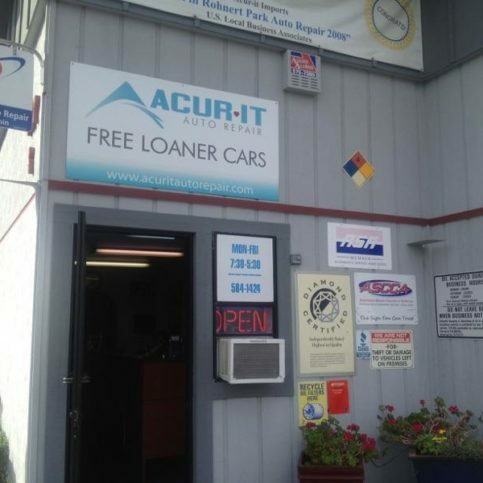 Acurit Auto Repair offers several complimentary loaner cars, including a Honda CRV and a Toyota Sienna. Acurit Auto Repair offers early bird and night owl drop-off. Acurit Auto Repair is an AAA Approved shop. 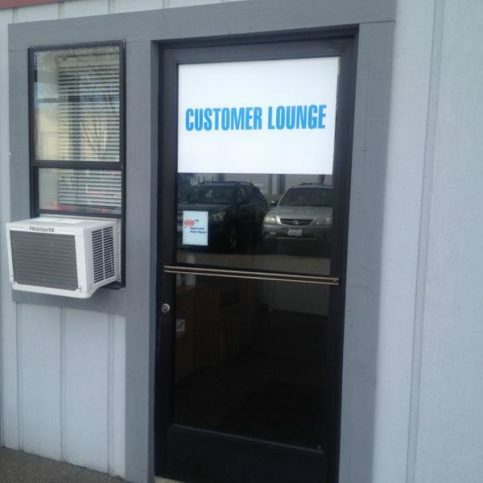 Acurit Auto Repair’s customer lounge is equipped with air conditioning. The yellow and black stripes on Acurit Auto Repair’s shop floor lead to clean restrooms. Service Advisor Stuart checks with an Acurit Auto Repair technician to make sure the repair is going well. Will Trbovich is a 50-year veteran of the auto repair industry and the owner of Acurit Auto Repair, a Diamond Certified company since 2003. Contact Will at(707) 722-7934or by email. 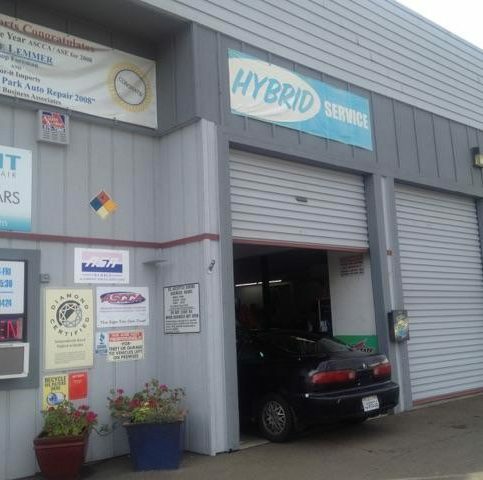 ROHNERT PARK – Most people don’t associate auto repair with environmental consciousness, but for Will Trbovich, owner of Acurit Auto Repair in Rohnert Park, a passion for sustaining the planet goes hand in hand with his overall business philosophy. “As a Green business, we believe in repairing and maintaining things rather than throwing them away,” he explains. “By servicing each vehicle with a mind to maximize its lifespan, we do our part to prevent waste.” Will’s environmental awareness also includes specializing in hybrid vehicles and taking part in AAA’s battery recycling program, but when he first became interested in auto repair at the age of 16, he was less concerned about his carbon footprint than about getting behind the wheel of his dream car. Will immediately set to pursuing his newfound goal in the most direct way he could—by seeking employment opportunities that would immerse him in the field. “I would take a job at any place that would teach me auto mechanics, even if it was just a gas station,” he says. 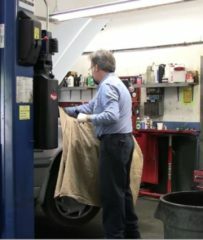 “I told the owners upfront, ‘I’ll work for you, but you have to teach me how to repair cars or send me to school, because that’s what I want to do.’” Over the next several years, Will would receive a thorough industry education between the shop and the classroom before eventually opening Acurit Auto Repair in 1996. A: The future. I like the direction we’re going with technology, so I’d love to be able to travel more quickly and beam from one place to another—like, “Beam me up, Scottie,” you know? A: I would love to drive an Acura NSX. I have a bit of a heavy foot, so I’ve learned to stay away from those fast sports cars, but maybe now I’m mature enough to not put the pedal to the metal. A: I think I’ve read Siddartha by Hermann Hesse four times. I’ve also read The Greatest Game Ever Played a couple of times. A: Either St. Francis or Kenwood Vineyards, because they both make good wines for affordable prices. I’m not into wines that are $65 a bottle. Cabin filters are typically located at the front of the vehicle interior (below the dashboard or behind the glove compartment) and can be removed and replaced as needed. However, cabin filters are often overlooked, even by auto repair shops, so when you bring your car in for service, make sure your technician takes the time to check out yours. More well-known than the cabin filter is the engine air filter. Whereas a cabin filter provides clean air for the driver and passengers, the engine air filter ensures the engine is receiving clean air. Engines need air for combustion, but when an engine’s air filter is dirty, it can’t breathe properly, which causes it to burn more fuel. That’s why any engine maintenance service should always include an inspection of its air filter. Fortunately, both of these vehicle air filters are fairly easy to check yourself—just consult your owner’s manual to find out how. 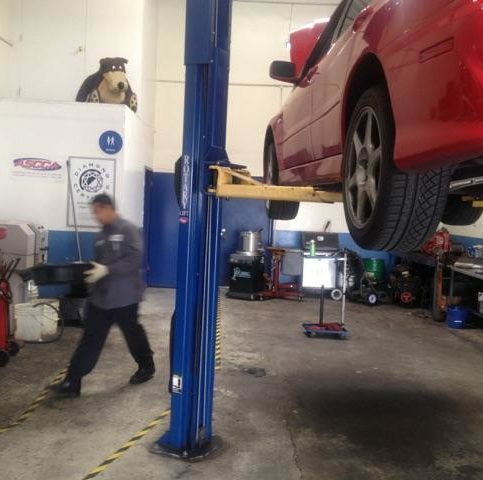 The vehicle should be raised in the air and the tires should be inspected for uneven wear, nails or other issues. Additionally, the technician should check for oil leaks beneath the vehicle and inspect the suspension and exhaust systems. All lights (including headlights, tail lights and brake lights) should be tested for proper functionality. As you can see, a proper vehicle inspection consists of several steps. So, as a customer, how do you know whether these steps are being performed? First of all, you can ask your technician to describe the inspection process in detail. You can also ask questions after the service, like, “How was my tire pressure?” or, “How are my brake lights looking?” If the technician can’t answer these questions, they haven’t done a proper inspection. ROHNERT PARK — Why is it that some brake jobs are more expensive than others? In some cases, it’s because an auto repair shop recommends replacing major components of your car’s brake system, such as the calipers. Replacing the calipers on your car can be very pricey—up to $600 apiece—but is it really necessary? The truth is that caliper replacement is rarely (if ever) needed, so be suspicious if a shop tries to convince you otherwise. Calipers are a crucial part of your car’s brake system—not only do they house the brake pads, but their function is to push the pads against the rotors when you step on the brake pedal, which effectively stops the car. As with any part of your car, it’s important to have your calipers properly maintained. Each time you have your brakes serviced or your pads replaced, the calipers should be removed and thoroughly cleaned and lubricated. This includes the bolts that attach each caliper to its corresponding rotor. Properly maintained calipers will often last for a vehicle’s lifetime, so it’s very rare that they need to be replaced, especially on a car with less than 200,000 miles. In fact, many cars that have 300,000 to 500,000 miles still have their original calipers. So, if an auto repair technician recommends replacing the calipers on your vehicle, you should get a second opinion before making a final decision. Diamond Certified Expert Contributor, Will Trbovich: So, if you’ve taken your car in for a repair or you’re picking it up, you might ask them a question, “How was my tire pressure?” If they can’t answer that question, then a proper inspection has not even been started on your car. What is a proper inspection? First, the oil and the coolant should be checked before a road test. Then, the car should be road tested to see if there are any unusual noises or problems inherent in the car. 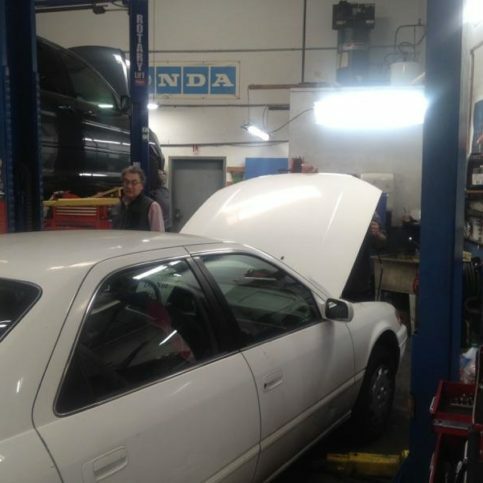 Then, the car should be brought into the shop and the hood should be lifted up again and all the fluids, the belts, the hoses, or anything out of place, or any oil leaks at the top of the engine should be inspected. 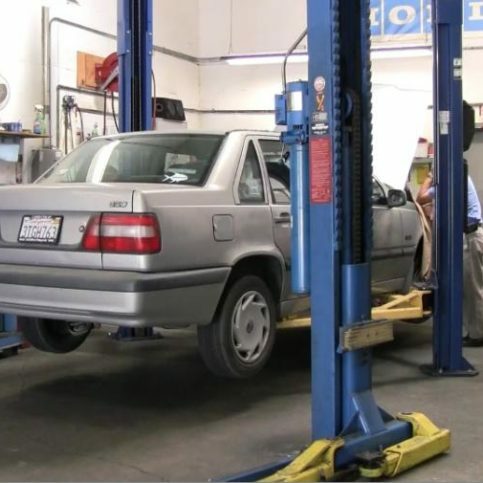 Then once that’s done, then the car should be raised in the air and then physically inspected for tire wear, tire nails, or any kind of problems with the tires. Suspension should be checked. The exhaust system should be checked. And then, you’ll want to have them look at any oils leaks that might be present in the car. All the lights, brake lights, tail lights, all those things should be inspected. You know, you certainly don’t want to get pulled over for having a tail light out or something like that. So, if someone tells you that they’ve done an inspection on your car, you could ask them some of these questions. Ask them, “You know, how are my lights? Are all my lights working? And how’s my tire pressure?” That would indicate whether or not a proper inspection has been done. Expert Contributor, William Trbovich: So, we’re looking at brakes today. Why are some brake jobs so much more expensive than others? One of the main reasons is that people want to replace your calipers. This is a caliper, right here. This is what houses your brake pads. These are the brake pads. The calipers are sealed, they just need to be cleaned, they need to be lubricated when you have your regular servicing, these pins – we take out these bolts, we clean them and put some – there’s lubrication that the manufacturers actually make for them. They keep them lubricated so – the calipers job basically when you push the brake pedal it pushes the brake pads next to the rotors to stop the car. Now, I don’t know why people replace them. I’ve never – very rarely – ever seen them leak. They last forever. They last many lifetimes. We have cars here that have 300 to 500 thousand miles on them, still have their original calipers. I’ve never replaced a caliper on my personal cars because I maintain them. So if someone is telling you and you’re getting a brake inspection and they’re telling you that you need calipers, I would get another opinion. And, that could save you an awful lot of money. A new caliper is anywhere from three to six hundred dollars and the re-builds, which are not very good are two hundred dollars. Each. So, that’s times two for your front, and times two for your back. So, I would just be careful if anyone was trying to sell you a brake caliper. Host, Sarah Rutan: To learn more about the Diamond Certified Expert Program, visit us at experts.diamondcertified.org. So, cabin filters aren’t always mentioned when you bring your car in for service. It’s something that you need to be aware of because it’s the air that you’re breathing. In addition, there’s a filter that filters your engine – like, for – gives you maximum performance in your engine. If your filter in your engine is dirty, then your engine is not going to breathe properly, and you’re going to burn more gasoline. So, ask about the cabin filter. Ask about the engine filters when you take your cars in for service. Acurit Auto Repair : Average 9.3 out of 10 based on 477 unique customer surveys of customer satisfaction. Quality, honesty, and they do great work at a great price. They're the best in Sonoma County. It's the best car repair shop in town. Convenient, I can bicycle home. They're reliable and take good care of my car. There is a quick turnaround on getting my car back. I've been going there for 25 years. It is the personal touch, they know my car. Customer service, give recommendations about work that could be done, and they do good work. Communication, they ask before doing the job. It's a safe, reliable, and trustworthy business to go to. Staff, the front desk are friendly. Quality, and they made me feel confident by doing what they could for the service. I had a blown head gasket. They analyzed the problem, which wasn't easy. They go the extra distance. Will fixes problems. He is very honest and ethical. Honest, they don't make up work. They only do what is needed, and they communicate. I actually recommend them to all of my friends. I have special tires on my vehicle and they took my vehicle as part of their service down the street, and they had tires put on the car. They did everything for me, I didn't have to do anything. They were honest about the repairs they did.